e-Vision™ is a recognized global leader in the development and advancement of patented technologies that enhance vision. Today, the cost to create, develop and patent innovative new platforms is excessive. e-Vision offers developed technologies so your company can launch new ground breaking products. e-Vision proprietary vision technologies can help speed up your go-to-market process to help you reach your long term business goals in your quest to be a market leader. Consumers in all age groups understand scientific advancements can make an amazing impact on our quality of life. Choosing to license with e-Vision provides the legal strength of our patents. One of the key reasons our licensing partners choose our offerings is our knowledge on protecting and enforcing the patents behind our inventions to protect your company’s investment. If you want to license our technology or find your new product is infringing, feel free to contact our team. We can help you in the licensing process to ensure your protected and backed by e-Vision patented intelligent vision technologies. Our impressive suite of patents includes electronic eyewear, electronic contacts, Smart Focus Optics™, HUD (Heads Up Display), electronic phoropter and more in development. Above is a real video electronic focus adjustment in action in real time through an actual e-Vision electronic lens. This demo obviously is not as sharp as a viewer will see through the optic because it is limited by the cameras ability to resolve. This example allows you to experience the real time focus adjustment from near to intermediate focus and then distance viewing, all in an instant. Our technology focuses across the full ranges in use in an average day, adjusting to the viewers needs in real time. e-Vision™ proprietary vision technologies are trusted and work with some of the most respected agencies and companies in the world, including Mitsui Chemicals Inc., the United States Army, Adaptica S.r.l. NASA and more. Our advanced proprietary inventions have led to products designed for space and right here on earth. 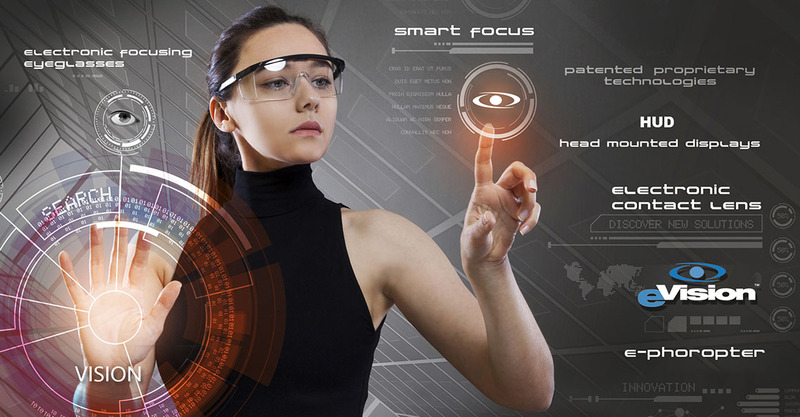 Some of the notable innovations include Electronic Contact Lens, Electronic Focusing Eyeglasses, E-Phoropter and focusing optics for HUD, Head Mounted Displays. 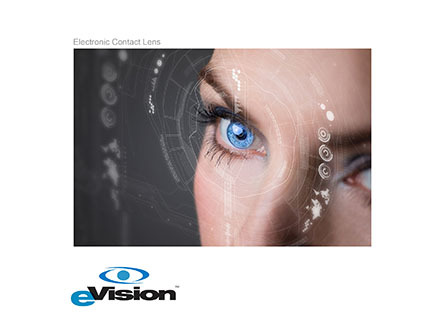 E-Vision, with origins in 1999 and now headquartered in Sarasota, Florida, has expanded its development platform to address all conventional and/or fluidic/liquid lenses that have electronics associated with them. Backed by our staff of scientists, engineers, legal team, corporate officers, Board of Directors and an amazing scientific advisory team, e-Vision takes powerful ideas and turns them into reality. 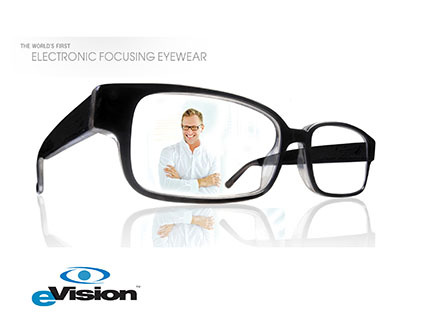 E-Vision is leading the way in vision technologies. Companies utilize our patented and patent pending science to create products that are as fashionable as they are functional. Our inventions were created to enhance vision in all types of environments including space and all are derived from internally created concepts. Examples of our patents available to license include Electro-active spectacle frames, frames for Augmented Reality and Virtual Reality (AR & VR), frames for audio, camera, video devices and frames for electronic tinting. 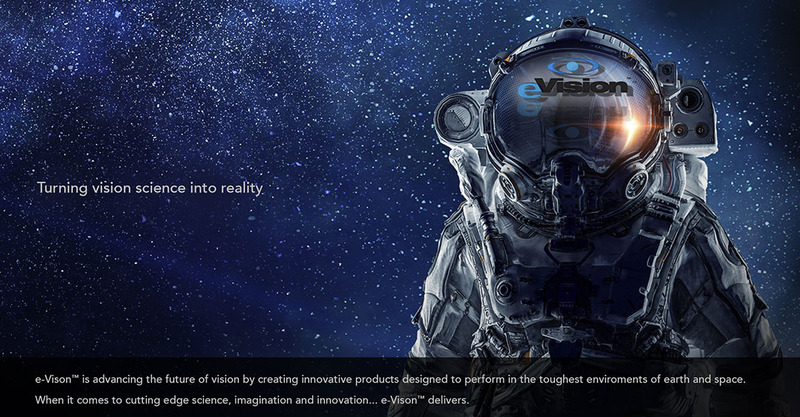 The future of scientific breakthrough products can be a reality by choosing e-Vision as the patented platform for your products. Feel free to contact us today.